SPC "Farmacos" is one of the leading producers of domestic disinfection means. 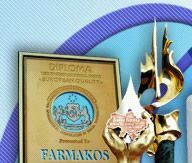 On September 30, 2004 Scientific production company “Farmacos” 10 years were carried out. 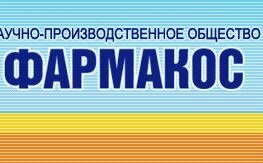 Large work of all collective of SPC "Farmakos" allowed for short time to conquer authority and to occupy a decent place at the market means of disinfection of Ukraine. Material and technical base with high-efficiency equipment and production capacities allows support high quality of the produced products and to their volume and assortment. An enterprise’s products are distinguished by ecological safety, wide spectrum of application: medicine, veterinary science, food and processing industry, transport. The clients of SPC "Farmacos" are hundreds of medical institutions, lots of enterprises of food industry: breweries, pastry enterprises, milk factories, meat processing and packing factories, poultry factories and stock-raising complexes, and also hotels, schools, point-of-sale enterprises, stations, airports and all types of transport. preservative for parfumery-cosmetic industry Dimol-P™. CHLORANTOIN® is chlorine-active, multicomponent, multifunctional disinfection mean with washing and pre-sterilization properties. Chlorantoin is a bright granular powder with moderate scent of chlorine. Chlorantoin water solutions are transparent, colorless, possess strong disinfectant property, dissolve fats well, remove protein-fatty tape from the processed surfaces, are easily washed off from them, not leaving raid, do not cause corrosion of wares from stainless steel, do not damage an aluminium, glass, glazed tile, wood, porcelain, polymeric materials. CHLORANTOIN® on disinfectant activity excels in 5-10 times ordinary disinfection means and eliminates application of alkaline cleansers. The use of CHLORANTOIN® allows combine in one operation the stage of washing and disinfection and pre-sterilization, shorten duration of sanitization. for the sanitization of technological equipment on enterprises, milk factories, making pastry wares with cream, enterprises of cosmetic industry, breweries, enterprises of non-alcoholic industry. BIOMOJ® is multicomponent, multifunctional bio-active cleanser. Preparation is the powder of light tones (the presence of the painted including of enzymes is assumed). Well dissolves in water; workings solutions of BIOMOJ® are colorless, do not damage the processed wares and possess the expressed emulsifying and washings properties, easily delete protein-fatty tape, washed off well, not leaving a raid on the processed surfaces. washing and disinfection of various technological equipment, inventory, communications and container (especially fine washes glass containers) on the enterprises of food and milk industry, on enterprises on the production of beer, alcoholic and non-alcoholic drinks. Application of BIOMOJ® for foregoing aims gives a perceptible economic value as compared to other cleansers. DIMOL-P™ is a preservative for parfumery-cosmetic industry. DIMOL-P™ is multicomponent, antideteriorant, practically deprived smell, is colorless, well interfuses with water, mono- and polyols, not soluble in oils and fats. DIMOL-P™ can be combined with most types of raw material cosmetic, in particular, with non-ionogenic SAM (superficially active matters), by the extracts of spicily-aromatic and medicinal raw materials with high maintenance of albumens and to structure formers. DIMOL-P™ shows anti microbe activity in regard to the wide spectrum of microorganisms, effective in regard to gram-positive (staphylococcuss, streptococcuss), gram-negative (collibacillus, blue festering bacillus, Proteus) bacteria, Candida albicans and moulds. Preservative saves anti microbe activity in the wide range of рН (4,5-8,0) in presence of 20 % albuminous material. Also large attention is deserved by cleansers for the enterprises of milk industry: MOJTAR, VIMOL и FARFORIN. For supporting of technological equipment and container on the enterprises of milk industry clean professional cleansers are required. Application of ordinary domestic chemistry can not result in a satisfactory result. The correctly chosen facilities save working hours and financial expenses substantially. MOJTAR, VIMOL and FARFORIN are technical cleansers. These are is surface active, noncombustible and non-toxic matters. Alkaline and neutral salts present in them provide the high detergency of the indicated facilities. Their solutions are stable and at storage do not decompose. Presence of water softeners in composition of the cleansers allows use solutions of preparations in districts with increased hardness of water. VIMOL is intended for the circulation and hand washing of various containers, cotton and synthetic fabrics and milk equipment, made from different materials. At bringing in solution of VIMOL disinfectants it can be singly used as a disinfectant cleanser. For washing of glass containers in bottle cleaners it is necessary to apply only MOJTAR. 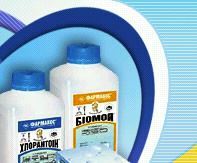 FARFORIN is used at the hand method of washing of milk equipment and containers, executed from any material. LOKODIN is an anti-pediculosis lotion, intended for elimination of head and pubis lice. Produced in form of concentrate - Lokodin of brand K, and also as ready to application of preparation form - Lokodin. Lokodin is applied for conducting anti-pediculosis measures in the way of life, in establishments of health protection, educational, caring and other establishments. Lokodin of brand K is applied for conducting anti-pediculosis measures in the organized collectives which are conducted by the specialized establishments of disinfection service. All products of SPC "Farmacos" are ecologically safe and have a wide spectrum of application. Low prices as compared to foreign analogues, low norms of expense and high efficiency in relation to the wide circle of pathogenic microorganisms are the distinctive signs of "Farmacos" products.